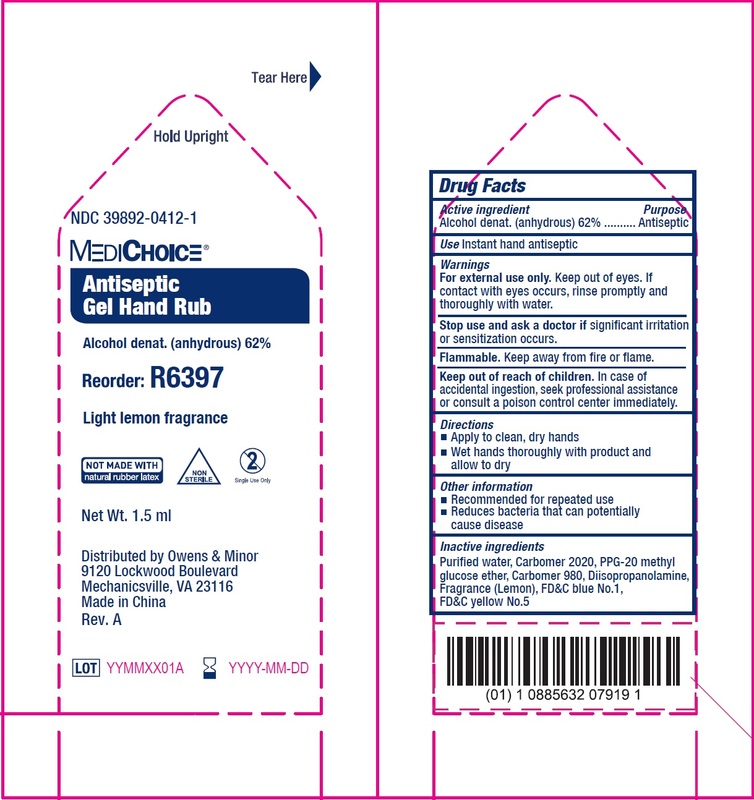 Proprietary Name: Antiseptic Hand Rub What is the Proprietary Name? Antiseptic Hand Rub with NDC 39892-0412 is a a human over the counter drug product labeled by Owens & Minor Distribution, Inc.. The generic name of Antiseptic Hand Rub is alcohol. The product's dosage form is gel and is administered via topical form. For external use only. Keep out of eyes. If contact with eyes occurs, rinse promptly and thoroughly with water. If significant irritation or sensitization occurs.